Enter your email and we'll send you all offers and discounts. This booklet provides easy-to-understand descriptions of several release detection methods for tanks and piping, as well as explanations of the regulatory requirements for release detection. Release detection methods include: secondary containment with interstitial monitoring, automatic tank gauging, continuous in-tank leak detection, statistical inventory reconciliation, tank tightness testing with inventory control, manual tank gauging, ground water monitoring, vapor monitoring, and release detection for underground piping. 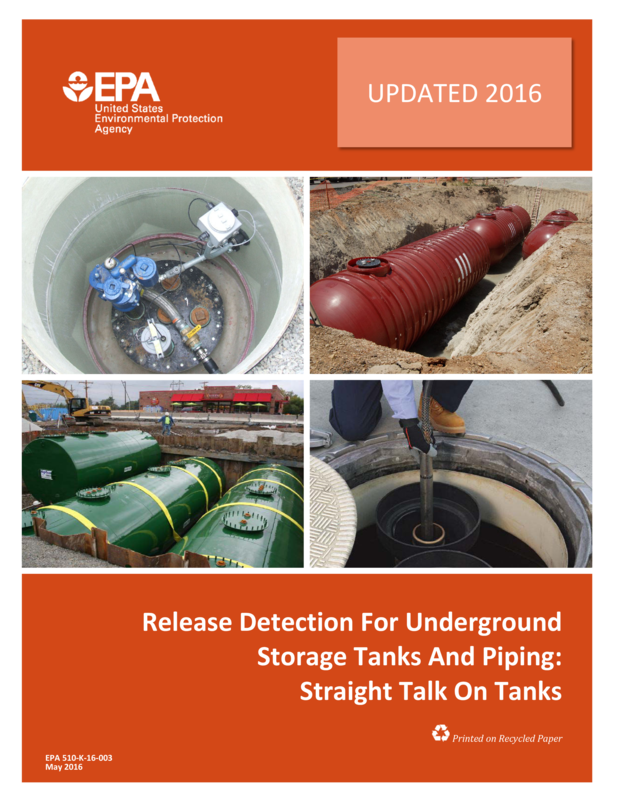 Download or read Release Detection For Underground Storage Tanks And Piping: Straight Talk On Tanks on EPA’s underground storage tank (UST) website at www.epa.gov/ust.